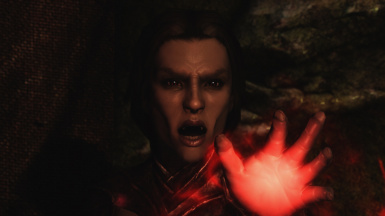 This mod changes the fangs and eyes of vampires to be a bit more believable while still remaining faithful to lore. 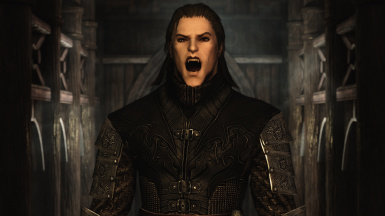 For males, the bottom fangs have been removed and the top fangs have been shortened. 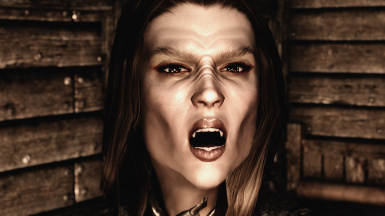 The female fangs have been created from scratch instead of reusing the male mouth, and look similar to the male fangs. 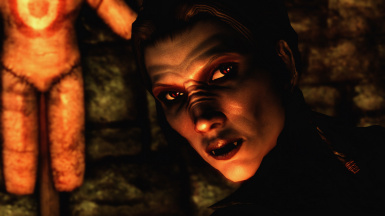 Vampires should now look capable of actually biting something without unhinging their jaws. 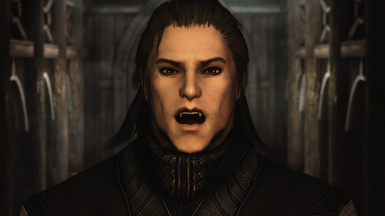 You should also be able to see the tips of their fangs while talking. 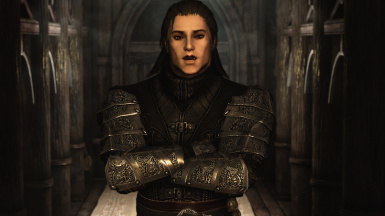 By default the above mesh replacers will only be visible on the player. 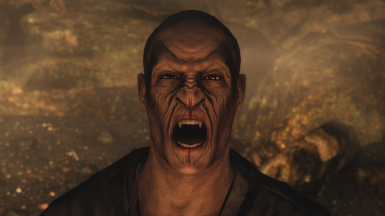 I've also included facegendata for most of the vampire NPCs in the game, so they will have the same eyes and fangs. 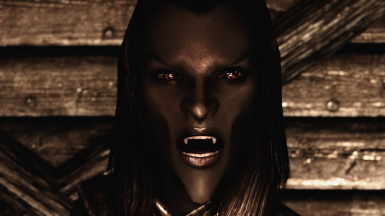 WARNING: If you are using another mod that makes changes to any vampire NPCs, including but not limited to EEO, overwriting the head mesh with the ones that I've provided could cause miscolored heads. 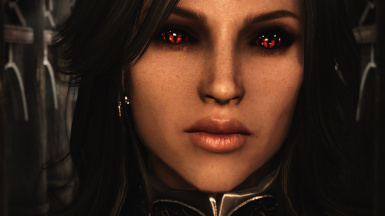 Fangs and Eyes - This includes everything listed above. 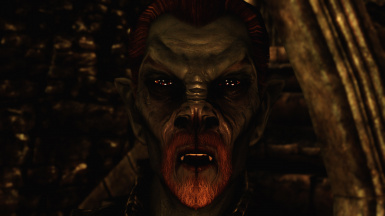 Fangs Only - For those who prefer glowing eyes, this option is only the new fangs for both player and NPCs. 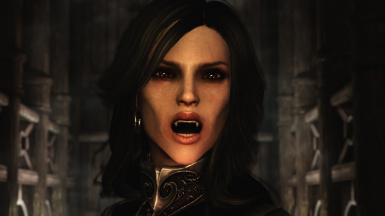 Fangs Player Only / Eyes Player Only (you can choose one or both) - A la carte options for those with modded NPC vampires or those who prefer to generate the facegendata themselves. 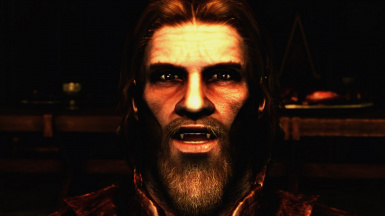 These options will only effect the player. Pick your option and install with NMM, or download manually, unzip and drop in your data folder.